Listed below are three teachable moments from BTT’s finest. And I’ll be honest, these submissions are all from my fellow BTT rookies. I expect to hear from the veterans next go around!! There is NO WAY you have raced blunder-free all these years! **One, treat your fellow racers with respect and dignity. **Two, wear proper race equipment. In one new BTTers first race he headed on to the run portion of the race with his bike helmet on (with the visor on it). He eventually handed the goods off to a spectator. 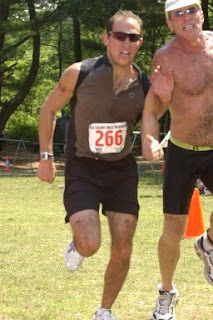 This same triathlete later headed out onto the bike portion of his first iron distance race with cleat covers on his shoes. Said cleat covers did not clip into his pedals! **Three, always tell someone where you are going and when you expect to return. I’m taking guesses for BTTers 2 and 3 above. You’ve got my e-mail address in your e-mail archives!